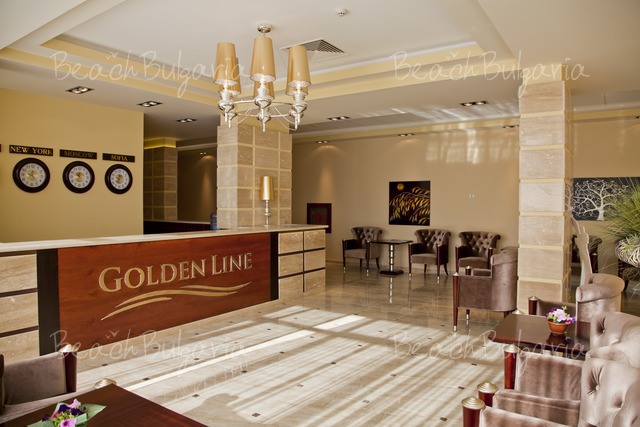 Golden Line aparthotel is located just 70 m from the beach in the centre of Golden Sands resort. There is а bus stop to Varna, just 300 m away. Varna Airport is 25 km away and there is a shuttle service available on request. 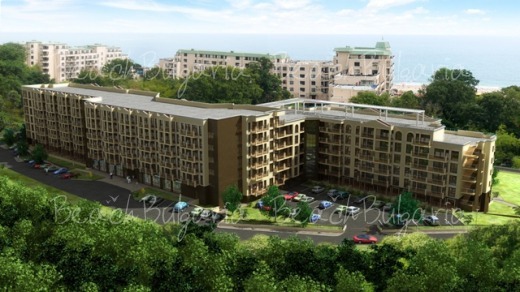 Golden Line aparthotel offers 26 studios, 43 one-bedroom apartments and 6 two-bedroom apartments. Each apartment features a plasma TV with cable channels, a dining area and a kitchenette and a bathroom with a hairdryer. Daily maid service, laundry, dry cleaning, iron rent are available in the hotel. Linen is changed twice a week, towels are changed 6 times a week. Beach towels are free of charge. 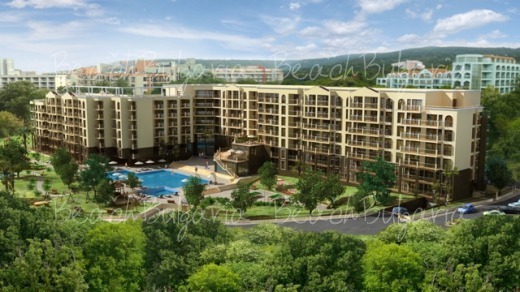 The apartment complex offers bars, restaurants and BBQ, wine cellar, vegetarian menu, children's menu, room service. The property features a spa area, Jacuzzi, beauty salon, medical cabinet, hairdressing salon, manicure & pedicure, sauna, fitness, steam bath, massages. 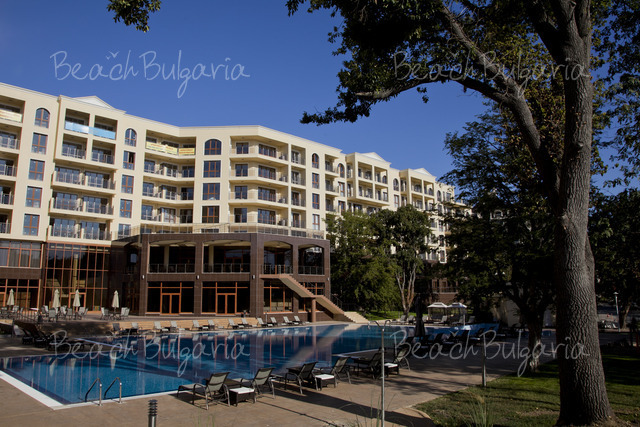 The hotel features an outdoor swimming pool with a pool bar, a beauty salon, a 24-hour reception, a children’s playground. * The prices are in Euro, per studio/apartment, per night, rent only (no meal included). Guests of the hotel can use the swimming pool, sunbeds, parasole and internet for free. * Cancellations can be made free of charge providing details of this are received at least 18 days prior to check-in time on the day of arrival - cancellations made after this period will incur a fee equivalent to the cost of two night's accommodation. Please, post a comment on Golden Line Aparthotel.